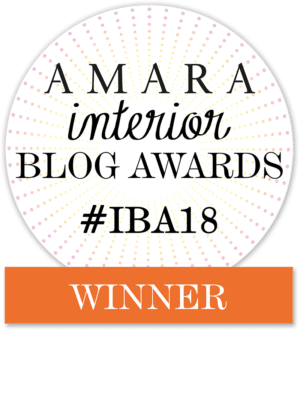 On Thursday night I won the Amara Interior Award for the best craft blog 2018. I’m still buzzing from the win! I’d just like to take this opportunity thank all my readers and followers for their support! 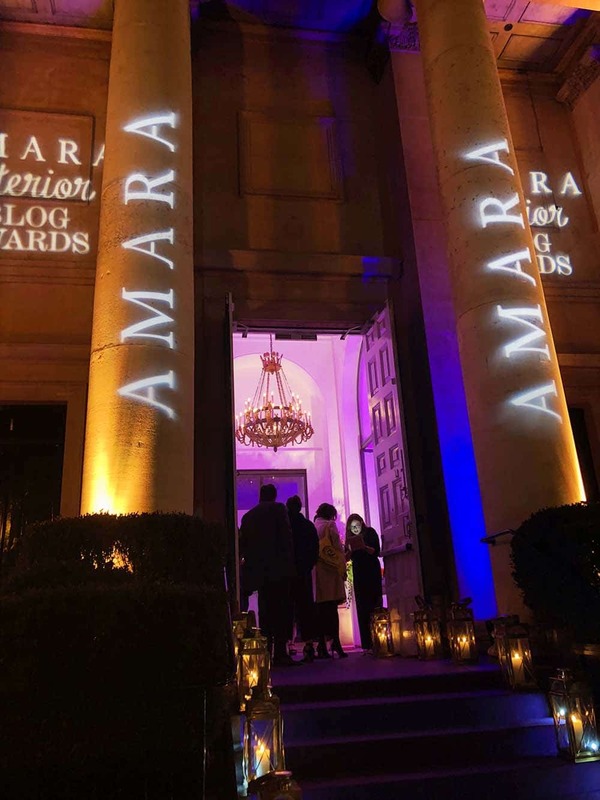 You can see all the Amara Interior Blog Award winners on the night here. Amara certainly knows how to make bloggers feel special and put on a fabulous party. 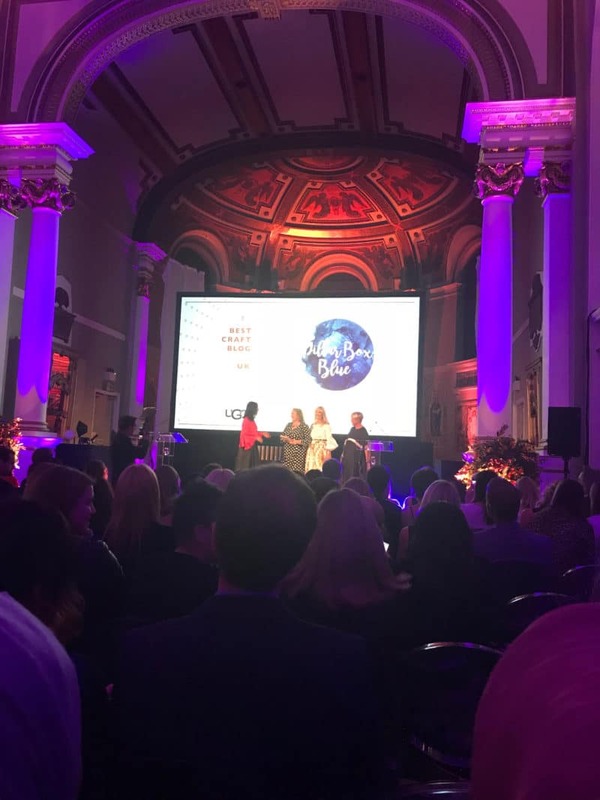 The awards evening itself took place at One Marylebone. A beautiful old converted church in the heart of London. The outside of the building was all lit up and looked fantastic. It was like one great big posh cocktail party with an awards ceremony in the middle. I got to mingle and finally meet some of my fellow bloggers like Medina of Grillo Designs and Evija of Fromevijawithlove. I even managed to say hello to fellow shortlisted bloggers like the lovely Ashley from Lazydaisyjones. The atmosphere was so friendly not at all competitive. It was a bit like the “British Bake Off” where everyone roots for everyone else even though they are competing for the same award. Even all the corporate sponsors seem to be enjoying themselves and soaking up the bloggers friendliness and buzz. To say I was stunned when my name was read out as the winner was an understatement. My friend Helen Hallam (the textile designer) who was my companion for the evening had to nudge me at say “That’s You” before I moved out of my chair. They say telly can have an influence on what children do so perhaps watching hours of “The Wombles” when younger has seeped into my psyche and has shaped by behaviour. I also had a very creative mum growing up which also had a big influence on me. Anyway, that’s enough about me! I just wanted to say thank you as I know a lot of you voted for me. I hope to carry on inspiring you with my upcycling and crafting! 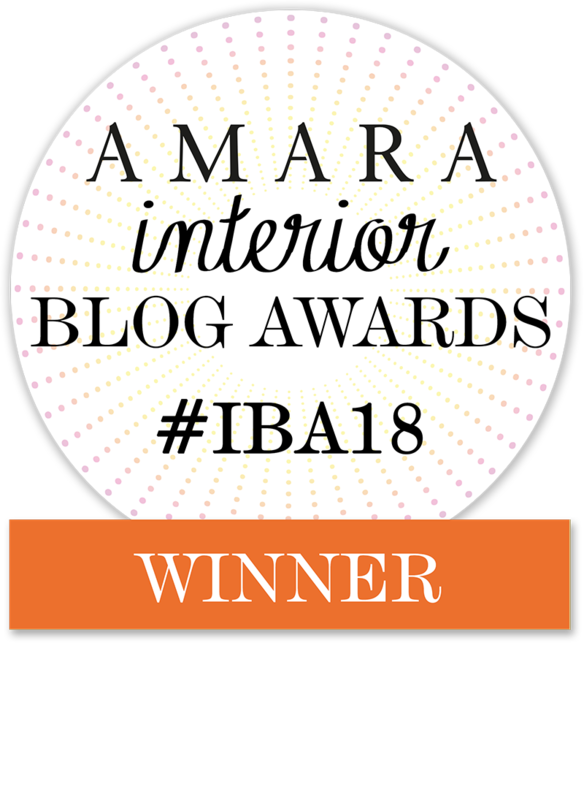 Also a big thank you to Amara for making us interior bloggers feel special! Aww, thank you so much, Michelle. It’s been amazing and has opened up many new opportunities. Congratulations!! Well deserved. I only wish I seized the opportunity to come and talk to you and congratulate you in person during the event, but I couldn’t get over my shyness. I was there too (one of the shortlisted blogs) but hardly knew anyone, so it felt a little awkward. Thank you, and congratulations on being shortlisted. I always admire people who have a way with words, I’m more about pictures! Shame we didn’t meet on the night but perhaps next year we will get to meet. I thought it was a fabulous evening and I had a brilliant time, and not just because I won. But that did help! Thank you so much, Josephine. I don’t expect everyone to make what I suggest. I just hope to plant a seed a maybe give them ideas of things they can make with the stuff around them. Or even just to think about it. Thank you 😊 I’m still buzzing I think it’s beginning to irritate my hubby so I’ll have to stop soon. Thank you. I met so many other lovely bloggers from all over the world. Amara were so lovely they really did make everyone feel special. Aww, thank you so much, Kerry, that is lovely to hear! Your rooting obviously worked!